PROFESSIONALISM AND RELIABILITY AT ITS BEST! Fill up the form and be one step closer to your project completion. See what MAV Perfect Paint can do for you and your project. Why Choose MAV Perfect Paint! Fully licensed and insured painters. Variety and affordability of our painting services. Great time management skills to start on time and meet the deadline. We use best paint brands or brand of your choice. We understand the inconvenience and we respect your privacy. MAV Power wash Services uses a refined pressure cleaning system that makes it possible to pressure clean anything and everything external in a minimum amount of time and with little fuss. From multi store buildings down to domestic concrete pathways and house washing MAV can offer you a cleaning solutions for anything external. Our professional commercial painters have been helping businesses around the Bay Area and beyond to improve their working environment for many years. Our expertise, meticulous attention to detail and flawless customer care makes us every businesses number one commercial painting contractor. From office buildings to retail premises, we’re the commercial painting contractor of choice for all your decorating needs. Our new build painters professionals are successfully working with many of the North Wests’ leading house builders and contractors. We support working with and around other trades to ensure all quality and safety standards are met. Our main goals are to make sure the projects are run as efficiently and cost effectively as possible, whilst maintaining optimum quality. Our wallpaper installation and removal is a job that takes comparatively long time, and requires precision and most of all patience. Therefore, if you have decided to decorate your home, office, club, restaurant or shop with wallpapers it is better to rely on professionals. Our team is trained in hanging any type of wallpapers so that to satisfy all clients’ wishes. Providing end-to-end solutions from concept to completion, our service is ideal for clients in retail, health, leisure and industrial sectors looking to redecorate without the downtime. We respect the needs of businesses, and provide an efficient and professional service on every project. From tight schedules to tricky spaces, we deliver high standards with none of the fuss. Our main goals are to make sure the projects are run as efficiently and cost effectively as possible, whilst maintaining optimum quality. We are fully qualified, time served, local professional painters who can provide you with a high quality one stop solution for all your painting projects. Rapidly gaining a reputation for our high standards of workmanship and high levels of customer satisfaction, we always strive for perfection and aim to be a cut above the rest. Marcio and the team at MAV Perfect Paint were hired as subcontractors at one of my projects in Lafayette CA. Being a GC and having had the pleasure to meet several different tradesmen, I just can't say enough about his professionalism and expertise when it comes to paint. He certainly stands up from his competition. The work was completed in 3 days. Happy client, beautiful finished walls and ceiling. His price is fair, his crew is clean and courteous. MAV Perfect Paint, executed a wonderful job in Corte Madera, they did a neat and clean work. 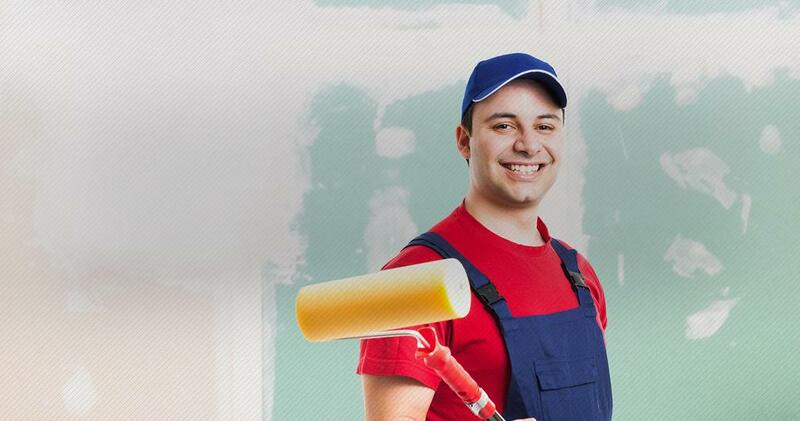 I really recommend MAV for any kind of project you might have for interior or exterior paint. Very good job!! We take pride in our clean and efficient work practices, and believe it’s just one of the reasons we stand out in the industry. Simply leave everything on site safely in our hands, and we’ll we carefully work around your existing layout to transform the painting and decor with minimal disruption.